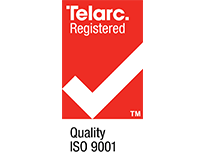 We obtained AS-NZS ISO9001 certification in December 1999 and have passed successful audits for eleven years for boiler installation, tuning services, maintenance checks, repairs and spare parts, fabrication, and general engineering. Another reason why you can trust your boiler and general engineering work with us. Do you have a boiler emergency or peak needs deficit? We have a solution for your specific situation with boilers in a variety of sizes, capacities, and pressures. Our rental boilers fire on Diesel. We can provide turnkey installation… start-up services, operator training, and support. © Kelford Engineering Services Ltd 2017. All Rights Reserved.